English (Translate this text in English): The DEMA Trader is a 165-foot freighter. It was deployed October 28th, 2003. The DEMA Trader is a 165-foot freighter. It was deployed October 28th, 2003. 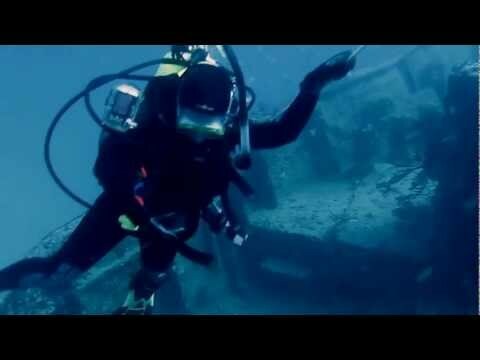 DEMA Trader Wreck - 200’ steel freighter sunk in 2003. Great Dive - The last time I dove this wreck you could look over the edge of the boat and see the wreck 90 feet below you so the visibility can be very good. It's got a moderate amount of sea live and occasional nurse shark, turtle, and always rays. It's not unusual for you to be the only one there which makes it even nicer. The cargo bay is filled with pipes that have some cool life in them and there are swim throughs in the bridge area. Current is always manageable.